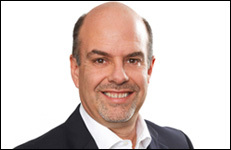 Jack Hewitt is Vice President, Marketing Services for Kraft Canada. Hewitt is responsible for media, packaging design and innovation, consumer promotions (CP) and consumer relationship marketing. Hewitt began his career at Kraft 1982 with General Foods. Over the years he has held a number of senior sales, marketing and strategy positions with Kraft in Canada and the United States, including Director, CP Strategy and Alliances and Director, Sales Kraft U.S.A. and VP, Sales Kraft Canada. Hewitt is actively involved in minor hockey in Toronto, having coached at the AAA, AA and A levels in the GTHL for the last 11 years. Through his involvement with the Markham Majors/Islanders he was recognized as volunteer of the year in 2007.